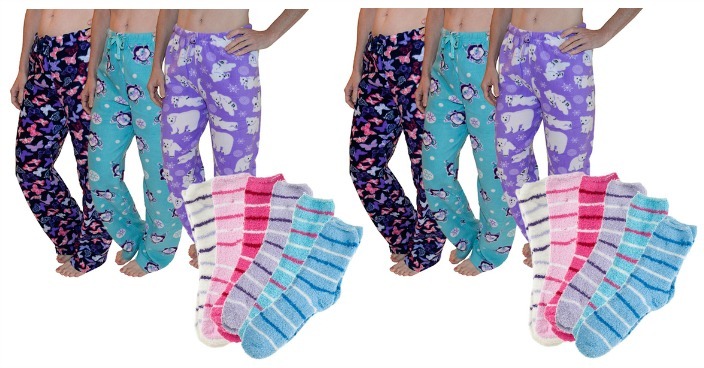 Fleece Pajama Pants & Cozy Fuzzy Socks Just $17.99! Down From $90! You are here: Home / Great Deals / Fleece Pajama Pants & Cozy Fuzzy Socks Just $17.99! Down From $90! Tanga has these Fleece Pajama Pants & Cozy Fuzzy Socks on sale for $17.99 (Reg. $90)! It’s that time of the year again and you have no reason to be freezing! Cozy up with this adorable set of two fleece pajama pants and two pairs of soft fuzzy socks. Netflix and chill hasn’t felt so good… since last fall!